Description: The 6.5 oz. 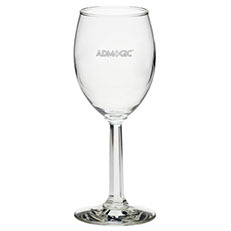 Napa Country Wine Glass is perfect for all dinner occasions and receptions. 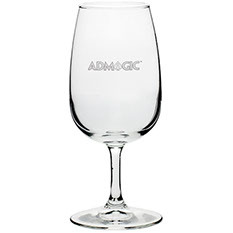 Description: ideal for serving a bottle of red or white wine, this customizable wine glass is one of a kind. Description: Personalizable with custom printed monograms, or company logo, this glass is sure to impress guests and clients. Description: Personalize the 16 oz. 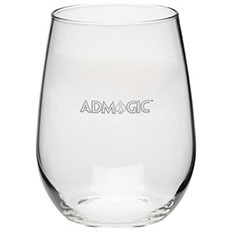 tall wine glasses with custom printed monograms or the company logo. Description: Featuring numerous customization options, this 8 oz. 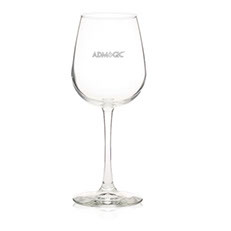 wine glass is a high-quality customized gift. 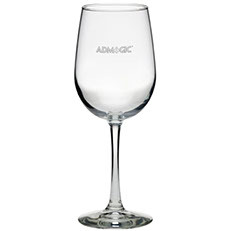 Description: Great for serving red or white wine, the 6.5 oz. 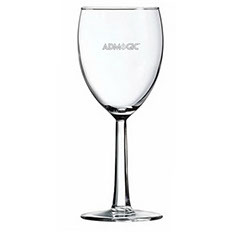 Citation Wine Glass is perfect for all dinner occasions and receptions. 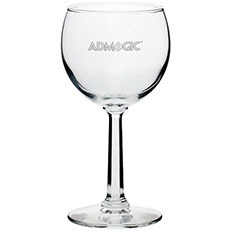 Description: Clear 10.5 ounce wine taster / wine glass with short stem glass design. 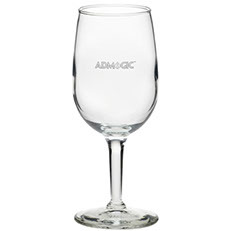 2.75" w x 7" h.
Description: Clear wine taster 12.75 ounce wine glass with slender glass design and colored stem. Custom sprayed bottom glass that gives a colored hue. 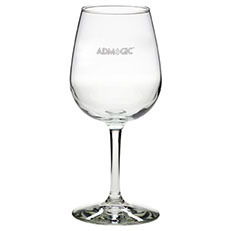 3.1" w x 7.5" h.
Description: Clear sixteen ounce wine taster glass with slender glass design and colored stem. Custom sprayed bottom glass that gives a colored hue. 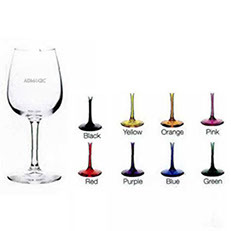 3 5/8" w x 9" h.
Description: Clear wine taster glass with slender glass design and colored stem, 12.75 oz. Custom sprayed bottom glass that gives a colored hue. 3 3/8" w x 8 1/4" h.
Description: Clear 8.5 ounce red wine glass with hexagonally shaved glass design. 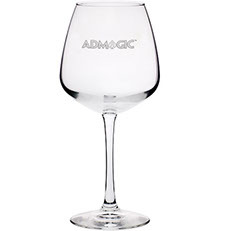 3" w x 6" h.
Description: Clear 18.25 ounce clear balloon wine glass. 4" w x 8 1/2" h.